If there’s one thing we know it’s fragrance! Having spent the last 5 years specialising exclusively in home fragrance, and with over 20 years of retail experience behind us in total, you know that you can trust our advice and recommendations. We know that the right fragrance not only captures a mood; it also creates memories. On a mild May evening you might choose ‘Paris Chic’ from Maison Berger and dream of the long boulevards by the Seine. After returning from a summer holiday you might burn a ‘Black Coconut’ Yankee Candle and smile as you remember sipping cocktails in a beachside bar. Or, on a long, dark December evening you might want to use an Ashleigh & Burwood lamp with ‘Orange and Cinnamon’ to bring you some cosiness. Now we want to share our passion for fragrance with you. We’ve put together this collection of Bigwicks favourites and bestsellers to help and inspire you as you create your own memories. You’ll find some fragrances you’ll know and some you might not. Whether you like fruit, floral, fresh or warm and spicy fragrances, there’ll be something here for you. And rest assured, they’re all fantastic. One of our most popular fargrances from the 'Fruit' family. Who doesn't like Black Cherries? This sumptuous and sweet scent will fill your home with the rich fragrance of ripe black cherries, for a delectable aroma that will set your mouth watering. 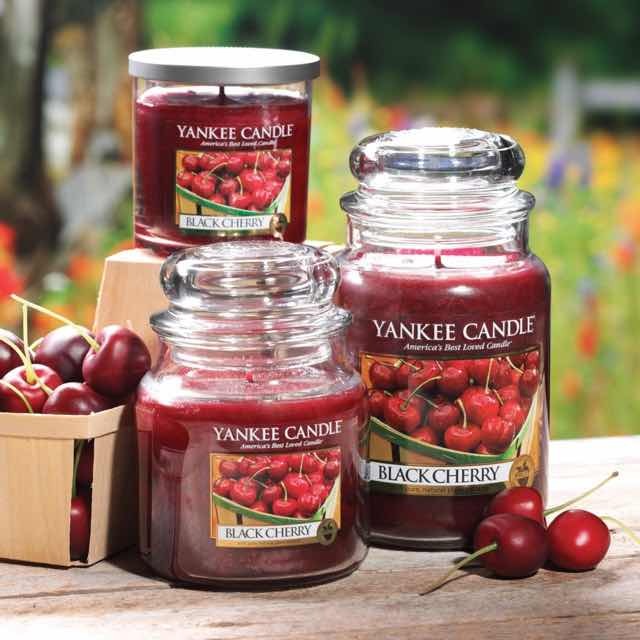 Black Cherry is available from many of our suppliers in various products ranging from Jar Candles with long burn times, to melts and votive candles. Using the air purifying system from Maison Berger or Ashleigh and Burwood, will fill your room with the beautiful scent of cherries whilst eliminating over powering strong pet and cooking odours. Explore our range by clicking the learn more button above. In the lemon groves of Sicily the fruit hangs heavy on the trees, basking in the hot Mediterranean sunshine. The lemons absorb all of that bright freshness until they turn sunny yellow themselves. Our Sicilian Lemon home fragrances capture all of that sun-enriched citrus freshness. Zesty and invigorating, you’ll find that they bring a bright touch of summer sunshine into your home. What’s more, you’ll find that they cut through other fragrances quickly. If you’re a Yankee Candle fan you’ll probably already know about their Sicilian Lemon candles and melts. But, have you tried their Lemon Lavender fragrance? If you have an Ashleigh & Burwood catalytic burner lamp you can choose their own Sicilian Lemon fragrance. Alternatively, if you have a Maison Berger lamp, why not pick their Lemon Flower fragrance? Or, for something slightly different, there’s always Maison Berger’s Zest of Verbena fragrance, which is not only available for their lamps, but also in their diffuser cubes. Sunset in paradise, rich coconut, cedarwood and island blossoms promise an evening of luxurious tranquility. Bergamot, jasmine water and white musk blend in a captivating fragrance. Created for those who love luxury. Always in good taste... a sophisticated and soothing blend of florals and subtle fruits. A prestigious and modern fragrance, a fresh woody scent, an enticing journey to discover the Vetiver sophistication. A sensual and warm fragrance with masculine facets.